If it’s your first time investing in some high quality knives, there’s no doubt it can be daunting. 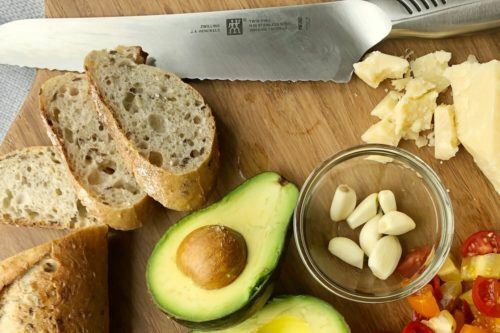 The more obvious needs are sharpness, durability, and endurance, but equally as important, the knives that you choose should be the best fit for you and your kitchen needs. 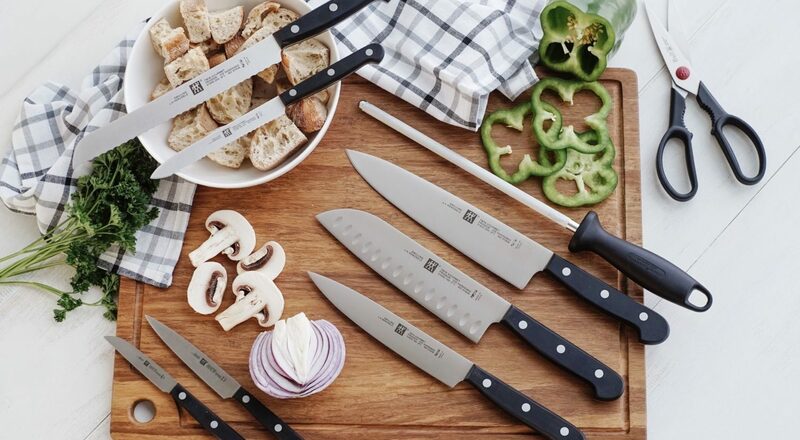 Here are some things to consider before purchasing the perfect knife set for you. What should I look for and ask when buying a knife? Always make sure you try before you buy! Don’t be shy to ask to hold each knife in your hand to feel the quality of the handle. It should feel comfortable in your hand and keep in mind that just because it’s comfortable for someone else, it doesn’t necessarily mean it’ll be comfortable for you. 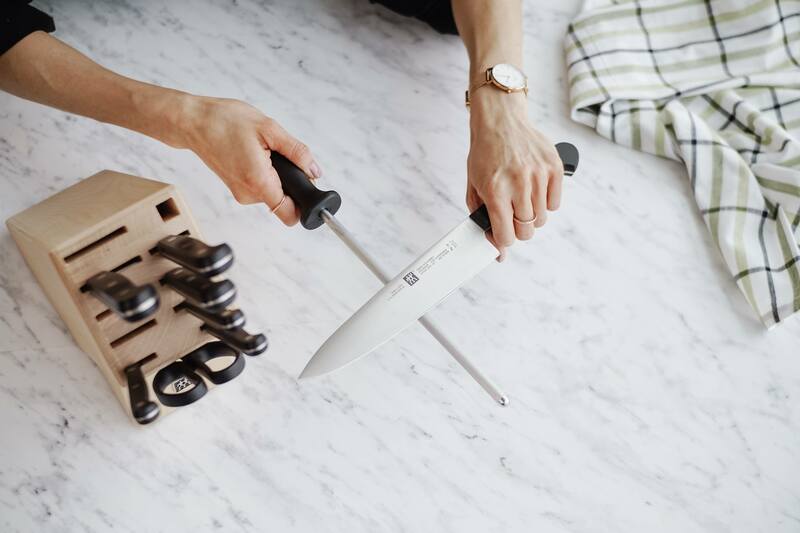 The knife should also be balanced, which means the handle should not be significantly heavier than the blade, or vice versa. You’ll know right away when you hold it. Lastly, you want to ask how sharp the blade is and how long it will maintain it’s sharpness if handled correctly. It will primarily depend on the quality of steel; so ask a sales associate for more details. Which must-haves knives should I have? 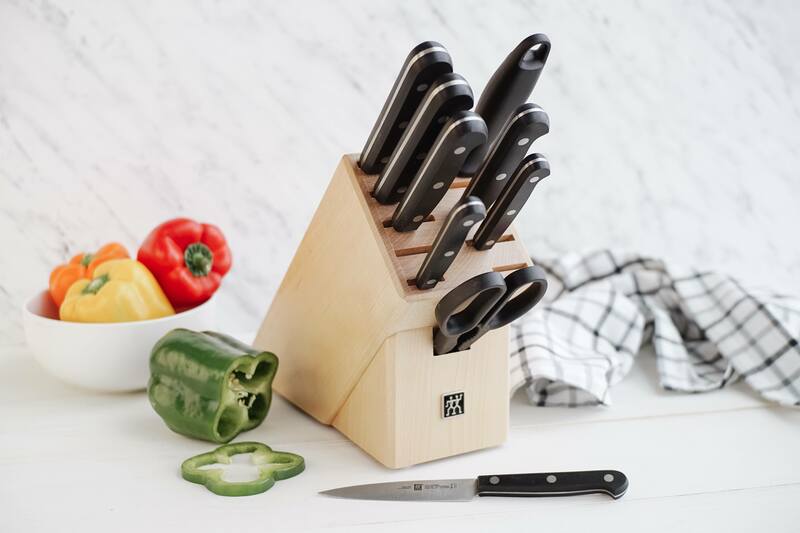 Remember the knives you select need to reflect your particular cooking style and habits. With that said, if you need a little direction on which ones to invest in first, these are the three basic knives that you can’t really go wrong with purchasing. 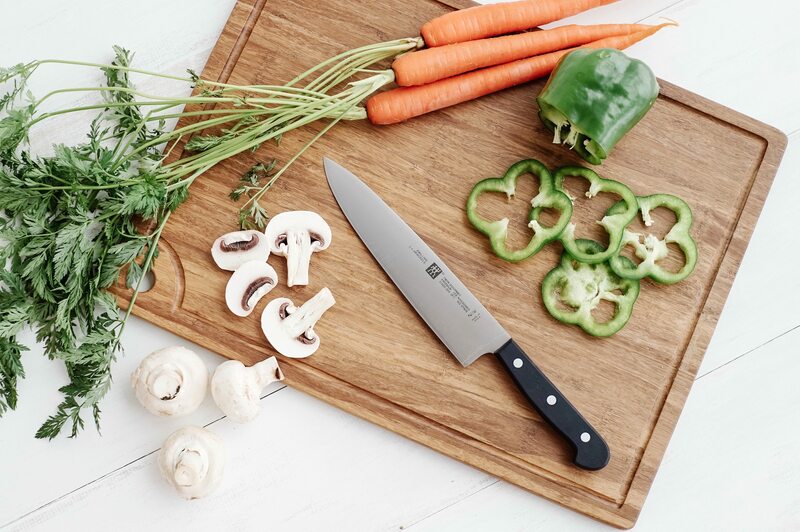 The Chef’s knife is the most versatile knife in the kitchen. It’s specifically designed to perform a variety of the most common cutting tasks like slicing, dicing, chopping, and mincing. It can be used on vegetables, meat, fish, nuts and herbs. It will be your go-to knife, so I highly recommend having one of these. 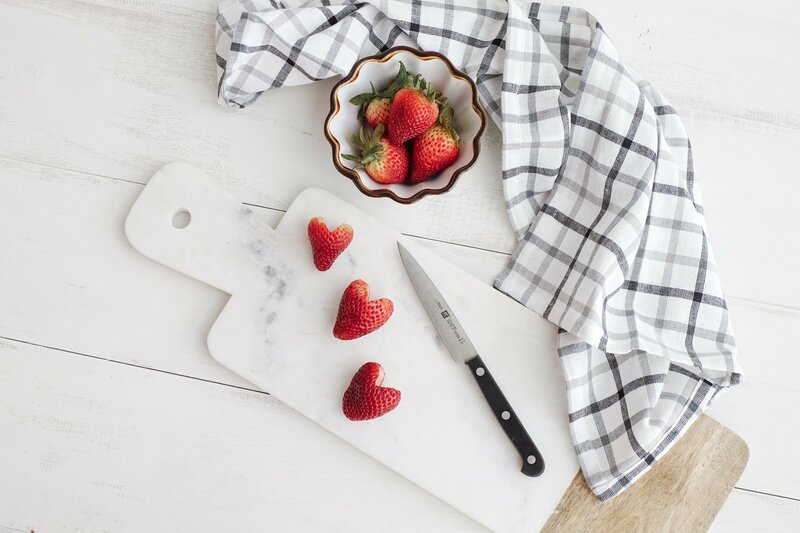 This small but mighty multitasker knife is used for detailed work, like hulling strawberries, peeling a cooked potato, or trimming mushroom stems. The slightly curved blade makes precision tasks faster and easier. 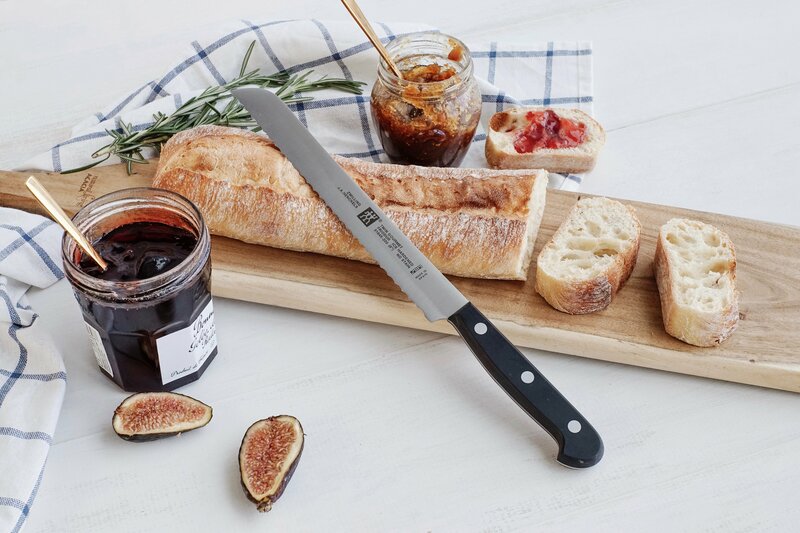 This knife is typically used for cutting through foods with a hard exterior and a soft interior, like a loaf of crusty bread. It has a scalloped tooth like edge that can also handle tender items, like squishy tomatoes and tender layered cakes. What is the best knife set to buy? So now that we’ve covered the 3 must-have knives, I would suggest that your knife set include all three mentioned. 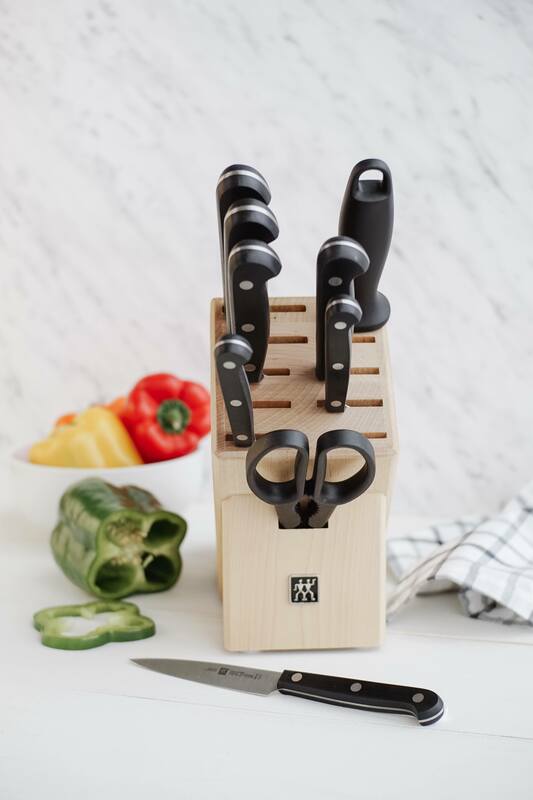 Having a nice sturdy knife block will help keep your knives all in one place and safely store them when not in use. 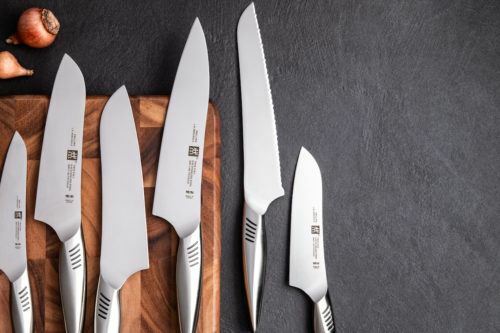 Try to choose a knife set with a sharpening steel in it, as you will need to maintain the sharpness of your knives and prolong the longevity of them. If you will be investing in a quality set, I would look into their warranty and if they even offer it. That could be a deciding factor for you. My personal preference is the ZWILLING J.A. Henckels TWIN Gourmet 10 Pc Natural Wood Knife Block Set, currently on sale for $192.49. This set does not disappoint with their exceptional sharp and durable blades. It’s a great starting point for a first premium block set and has all the above factors I mentioned earlier and more! You will also be pleased to know that all their products are fully guaranteed against defects in material and/or craftsmanship. And guess what? It’s 65% off right now!!! Wood knife block with 10 slots (I love the extra slots so I can add more to my collection, if I desire in the future). I hope you this helps you to find the perfect knife set. Happy Shopping! Starting your ZWILLING J.A. Henckels knife collection? 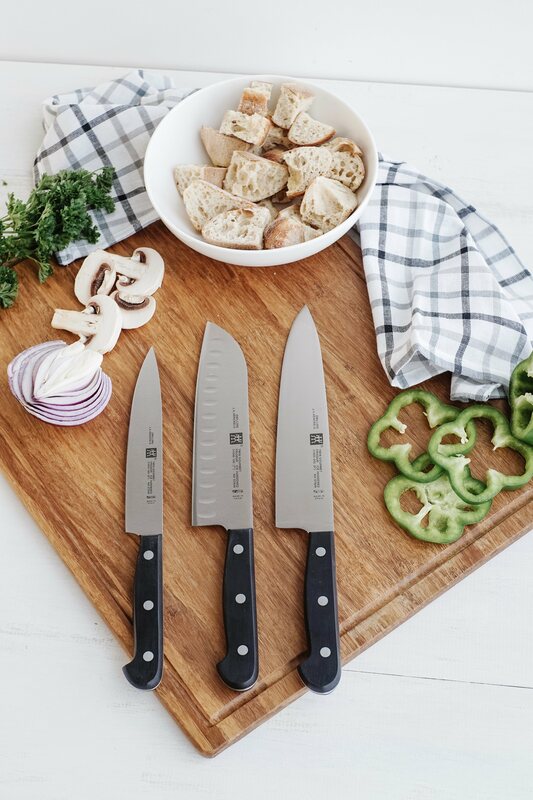 Take our quiz to find out how to start your knife collection, or visit your local Kitchen Stuff Plus store to see and feel any ZWILLING J.A. 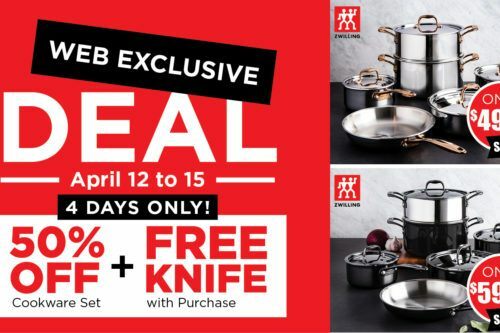 Henckels knives for yourself!